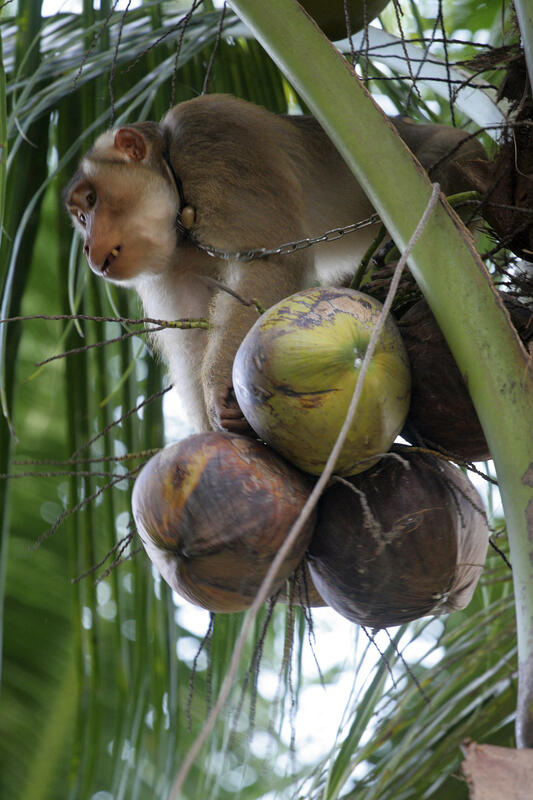 A macaque picks coconuts from a treetop on Thailand's Samui Island. 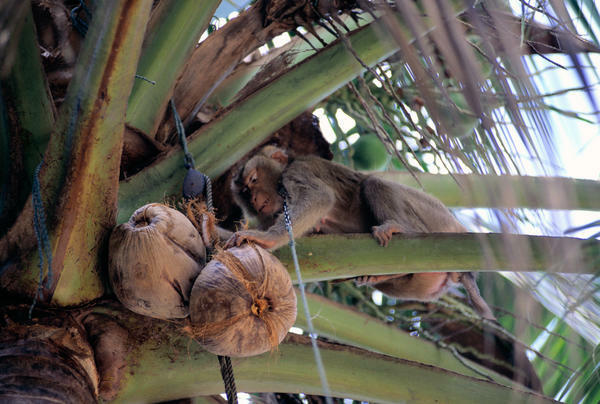 Captive monkeys are trained to help harvest coconuts on the island's plantations. A male monkey can collect up to 1,600 coconuts per day and a female can get 600, while a human can collect only around 80 per day on average.